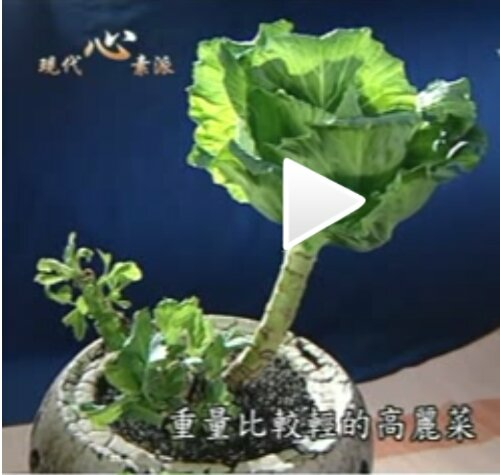 Do not throw away the cabbage stem with remaining leaves. You can grow it again at home while making it a beautiful bonsai. 1. Use a small knife, cut from the base of stem, from outest leaves to inner ones, layer by layer. Do not cut too deep to avoid harming the cabbage. 2. You should get a naked stem after having pealed off the leaves except the few tiny inner ones. 3. Use the knife to trim the surface of the stem, get rid of the rotten and dirty skin. 4. Leave the cabbage in the air for 2 days, let the water in the leaves evaporate and the leaves soften. 5. 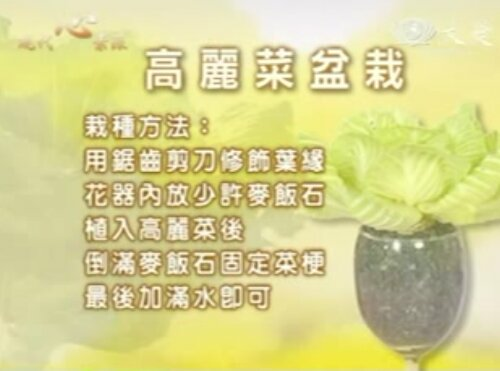 Insert the cabbage in a small vase filled with water (and some medical stones 麦饭石 to hold the stem at central). Preferably let 2/3 of the stem in water, 1/3 above, to project a 3-dimensional view. 6. Use your palm to bend the soften leaves outwards, like a blossom flower. 7. Add water in the vase and Spray water on the leaves every 2 days. 8. 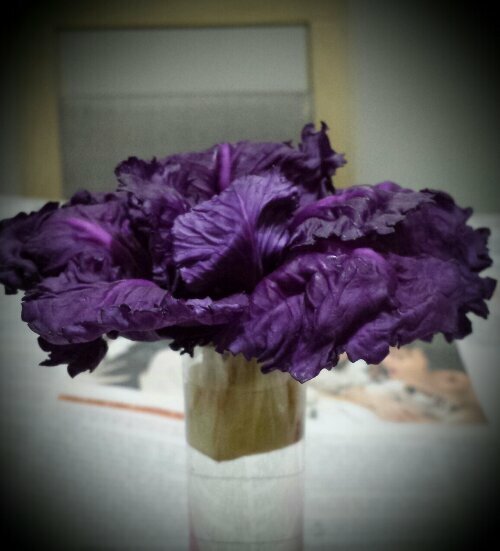 Voilà, you have given the cabbage a second life to live and grow again. It will reward you in a few months with a home-grown organic cabbage. Enjoy! Note: I re-use my aquarium water for the cabbage bonsai. This is the Aquaponic concept. Ulcer healed in 10 days.